Let's demonstrate how sentencing under the 3 strikes law works under the above scenario. New Crime: Felony theft normal sentencing options are 16months, 2 years or 3 years prison. New Sentencing Triads: 32 months, 4 years or 6 years. In addition a person who is convicted of a new felony and has a strike will be required to go to prison. The prison time depends on the crime. If the person has one prior strike and is convicted of a non strike offense felony (felony grand theft) then the prison maximums and minimums are doubled. For example using the above example the person has an old residential burglary conviction and is now convicted of a non violent felony grand theft, that person could spend a maximum of 6 years in prison for the grand theft. Up until recently, if that same person had two prior serious or violent felonies that same person would be sentenced to 25 to life. Under Proposition 63 the person would only be sentenced to 25 to life if the new case was a strike and they had 2 or more prior strikes in the past. Maximum prison time is increased quickly if the new felony conviction is a serious or violent felony, like a residential burglary and the person has one or more prior serious or violent felonies. For every prior serious and violent felony conviction, when convicted of a new serious or violent felony, that person would spend 5 additional years on top of the regular term. This is known as a “nickel” prior. Sentencing guidelines although they may seem simple at first because extremely complex. 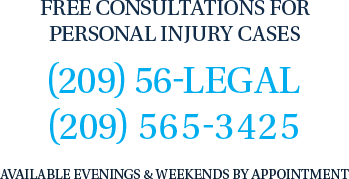 It is important to seek competent legal counsel to guide you or your loved one through process. Your freedom and criminal record are very important. Call The Bogan Law Firm, A Professional Corporation for an immediate consultation.